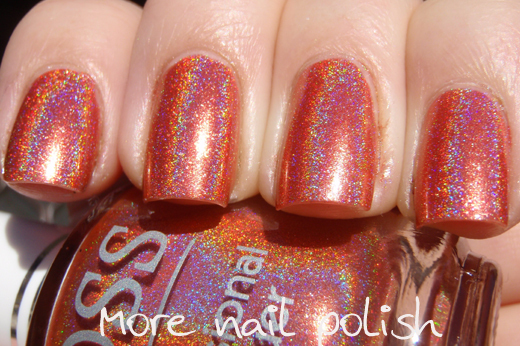 Here is part two of my review of the new JOSS FX colour polishes from Beauty World. 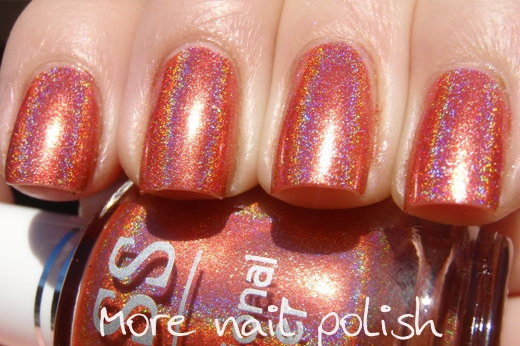 The three polishes I showed yesterday had a strong foil finish and were in lighter, more subdued colours. 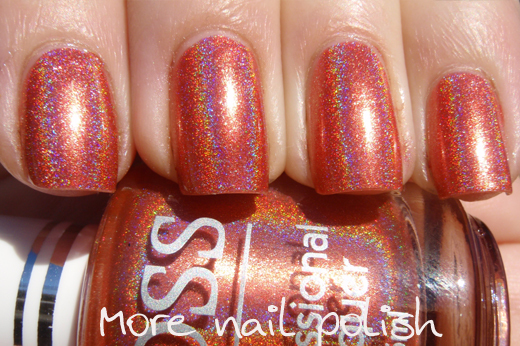 There is nothing subdued or subtle about these next three polishes. They are loud, in your face and stunningly gorgeous. Again I have taken WAY too many photos of these, so sorry for the downloads if you pay by the MB! Alternate Dimension is a bronze toned coral colour. It's almost like a dark orange. 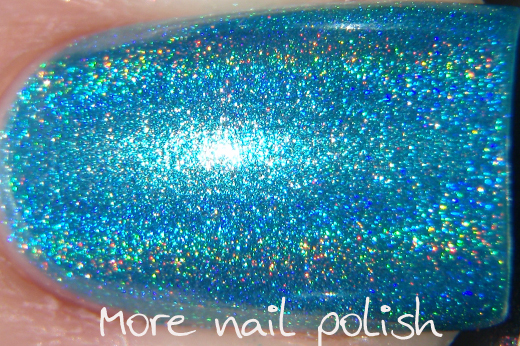 This is such an unique colour among my many holographic polishes, I do not have anything like it from Ozotic, HITS, Ludurana, Glitter Gal or Layla and I haven't seen a Jade match for it either. This is two coats over a regular base and top coat. 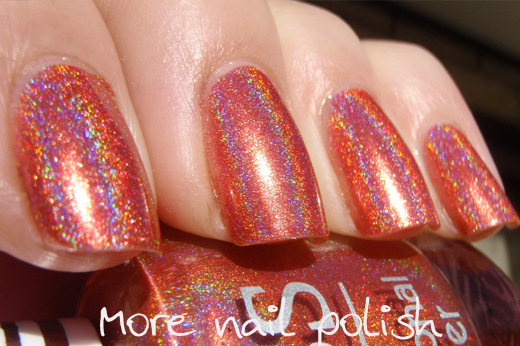 It doesn't drag or make bald spots and a top coat doesn't dull the holo. 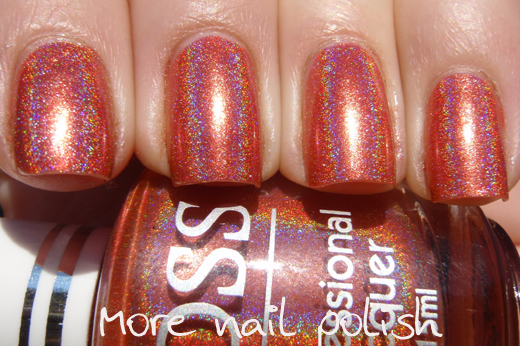 Often blogger swatches are taken when polish is still tacky, because when you are swatching you are putting it on, photographing it, and taking it straight off again. Waiting for a polish to totally dry can drag swatching out over a very, very long time. 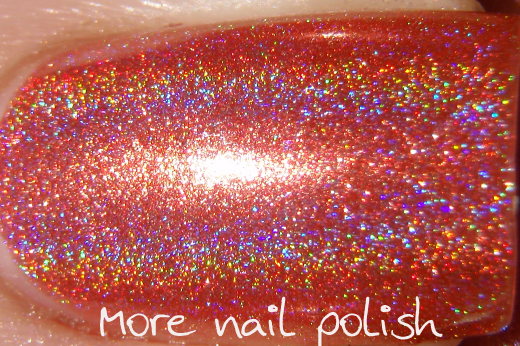 I did find that I needed to allow these polishes to fully dry before taking any photos, because when the polish was still tacky, the holo effect appeared more scattered. But the good news is, it looks its best when totally dry. Caribbean Holiday looks just like the sparkly waters of the Caribbean. 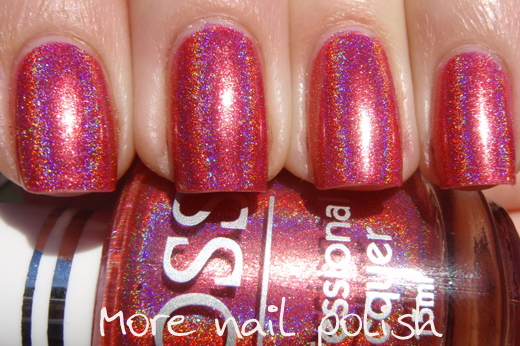 OK, I've never been there, but I'm sure this glittering polish represents it pretty well. 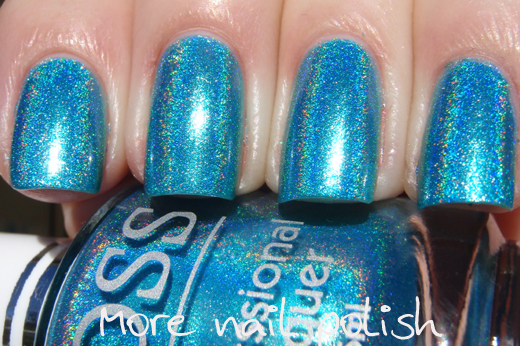 A rich aqua blue polish with a brilliant holo effect. 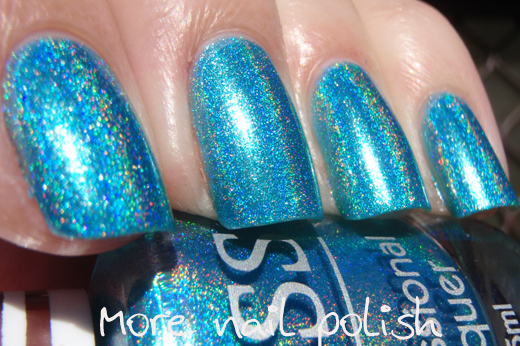 Similar to the soon to be discontinued Ozotic 515, but more aqua. Two coats topped with Seche Vite. 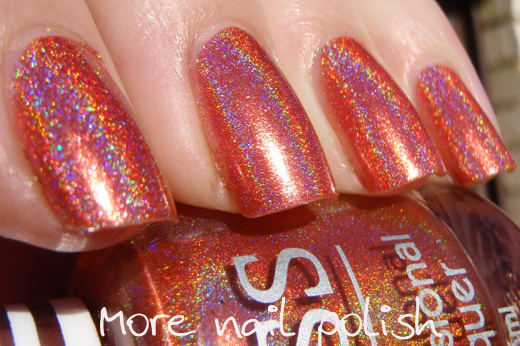 Sudden Impulse is one of the brightest most richly coloured holographic polishes I've seen. It's a strong bright pink that almost looks red on the edges of the nail. 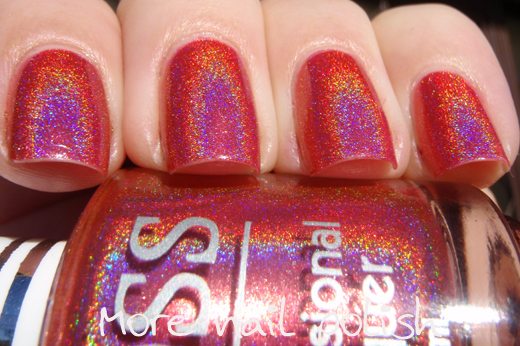 Strong linear holographic finish and shown here at two coats. Want to buy franken supplies and think you can meet the $110 minimum - shop at Beauty World. 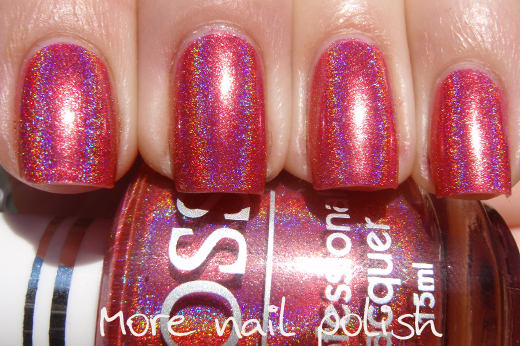 Get 6 free JOSS polishes when you place your order at Beauty World (until end June 2012). 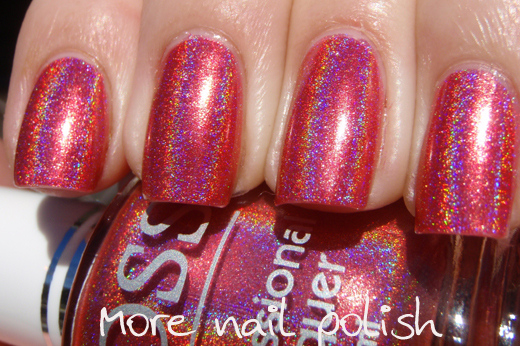 Spending less than $110 - Head to the Franken Nail Polish shop on Facebook. Single unit price for the JOSS FX colours on Facebook is $12.95. Buy as little as one bottle on the facebook shop. So there you have them. What do you think? 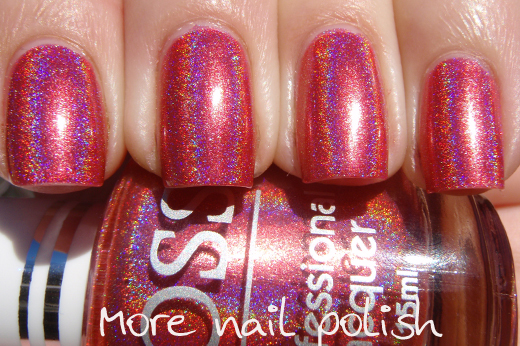 Are you as in love with these polishes as I am? Fantastic formula, great full sized bottles with a nice brush, unique colours and finishes. 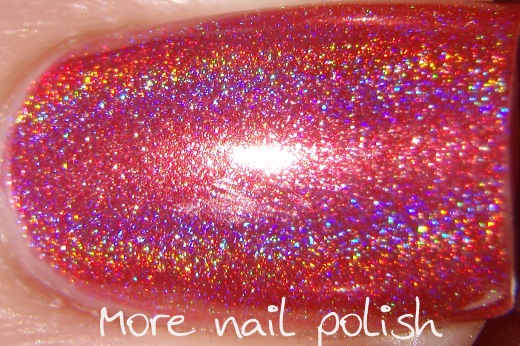 Oh, and get excited cause this is what they say on the facebook page "A new collection out soon with combinations of holo and colour travel glitters - stay tuned." SQUEEEEEE! 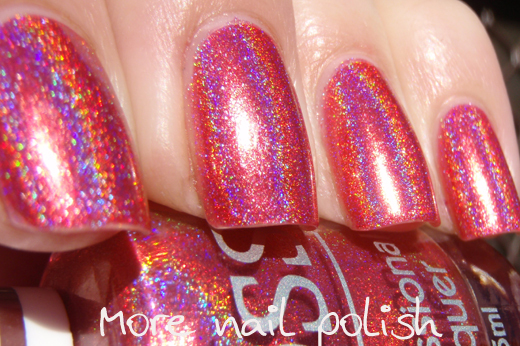 I'm so excited for the travel glitter holos :D!!! 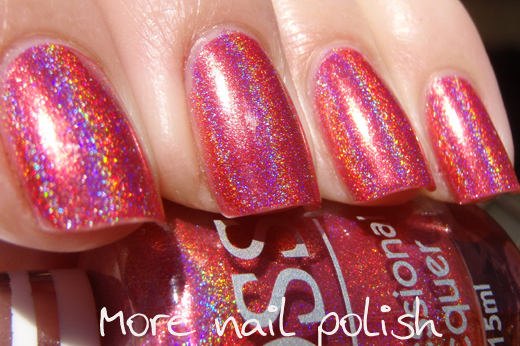 They've really set the bar high with these for their future holo polishes. I'll be buying some of these the moment I'm off my no-buy. Also, in case you didn't know, the new Layla hologram series is up in the Layla store! Were you going to organise another group buy for the Aussies? They're up, I checked yesterday and nothing, must have gone up in the last 24 hrs. yep will def do a group order. Will post details tomorrow. 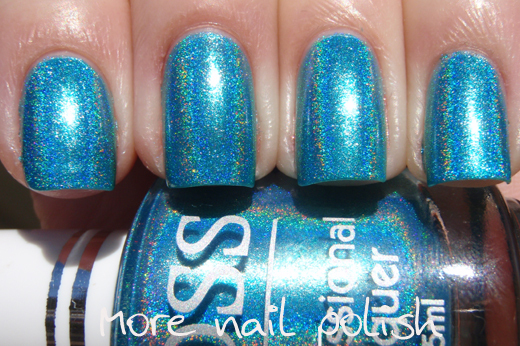 I've never heard of this brand before, but these glitter colors are so lovely!! Like them all, these are gorgeous. Love the orange one. Oh my god these are amazing. What is a color travel glitter?? I have never heard that term before. Is that the same as color changing? This will show the countries that we can ship to at the moment. If your country is listed please complete the form and submit it. If not, then I'm sorry - we cannot ship to you at the moment. Submitting the form doesn't commit you to purchasing anything, nor will any payment be requested. It just allows me to work out your shipping cost so that I can quote for you. Please understand that because we are moving dangerous goods via a legitimate shipping method the costs will be much higher than post ( and again I remind everyone that posting hazardous items internationally is illegal - even via sea mail). However as the total amount of product that you order increases the costs do become much more economical. We have been asked by our courier not to mix hazardous items with non haz items on the same airway bill, so non haz items will usually be sent via the post as this is usually less expensive. 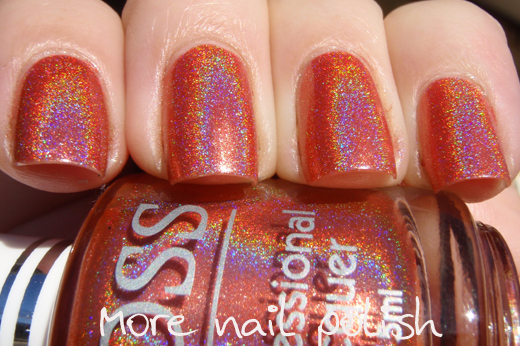 Alternate Dimension looks somewhat like Enchanted Polish Sourpatch Kid (which is now discontinued), I think.